What do yogurt, beer, and sourdough bread, have in common? They are all foods that depend on the activity of microorganisms for their taste, texture, and digestibility. In other words, they are fermented foods. Does the fact that these foods are made with the help of bacteria or yeasts also mean that they are probiotic foods? The answer is no! To qualify as a probiotic, microorganisms must have demonstrated their ability to affect our health. 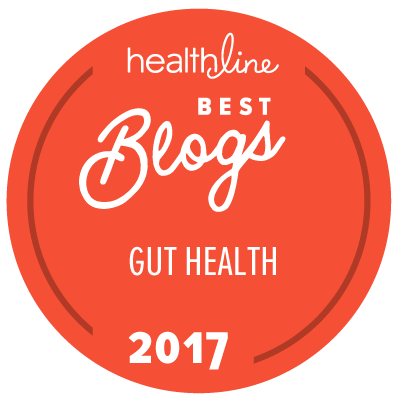 This is the case for yogurt, which has proven helpful for lactose maldigestion. During the production of yogurt, bacteria transforms lactose (the natural sugar found in milk) into lactic acid. Beer and sourdough bread however, do not contain live microorganisms, as the yeast is destroyed when the fermented dough is baked. Similarly, beer undergoes a filtration step after fermentation, rendering the bacteria inactive. 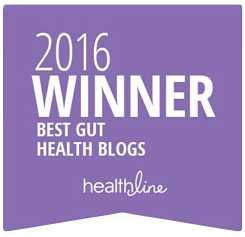 Despite not all containing live bacteria, fermented foods are beneficial in many other ways. Fermentation of raw materials or food gives rise to a wide variety of products, textures, and tastes. Fermentation is also a process of preservation, and can improve the digestibility of foods. Furthermore, fermented products that contain bacteria are an important source of nutrients and health-promoting bacteria. And finally, beyond the health benefits, fermented foods are also simply delicious. 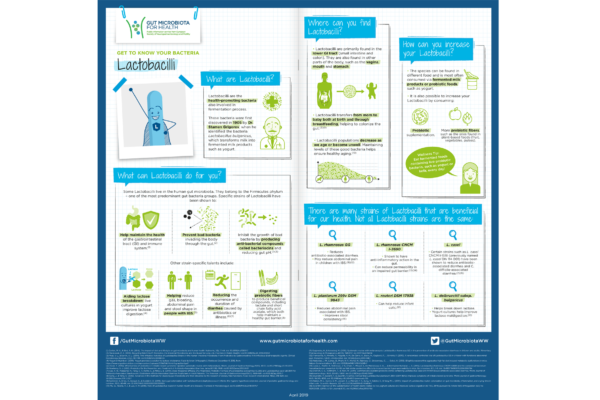 To taste some of these foods for yourself, check out this infographic from the International Scientific Association for Probiotics and Prebiotics (ISAPP) for ideas. 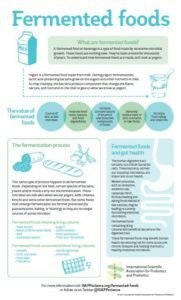 For more information on fermented foods in general, check out our related infographic.